24 x 17 x 7 in. 24 x 18 x 8 in. 24 x 14 x 14 in. 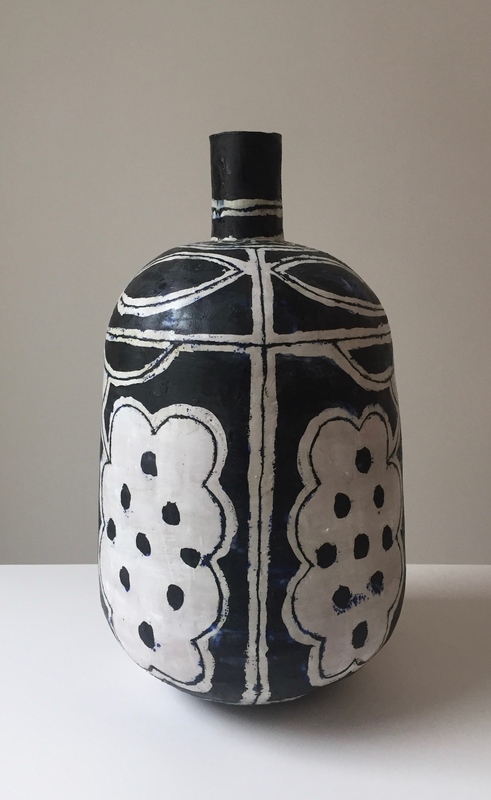 Elisabeth Kley is a visual artist working on a broad range of two-dimensional supports at various scales, with a particular predilection for ceramic vessels, that she covers with signs, patterns, and narratives. 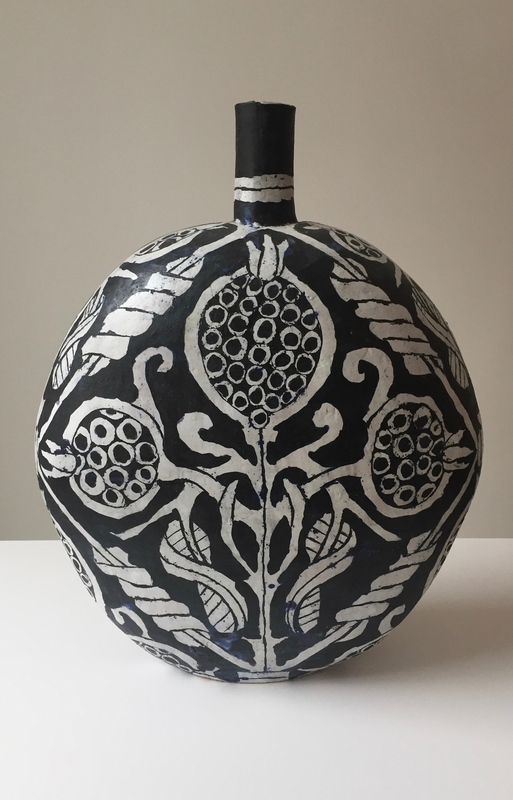 After distancing herself from painting, Kley began to focus her practice on drawing, developing a unique practice of densely ornamented decorative objects. 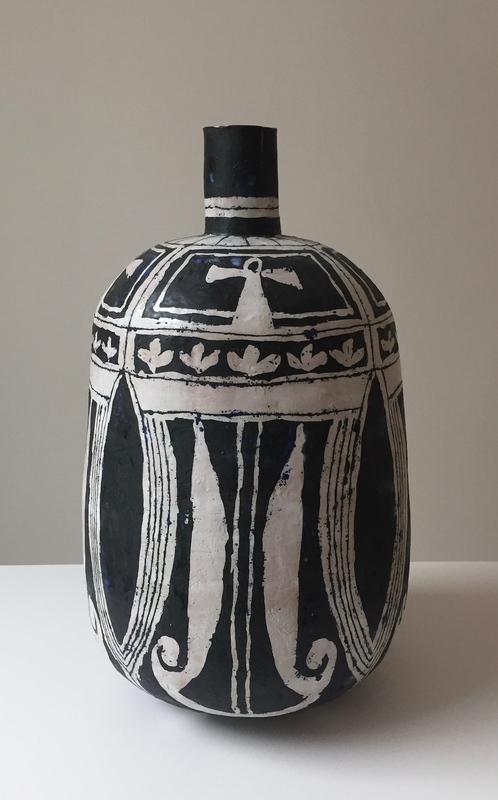 She builds vases, bottles, and urns out of clay which are then covered with handmade underglazes that she scrapes away to partially reveal non-figurative drawings and patterns. 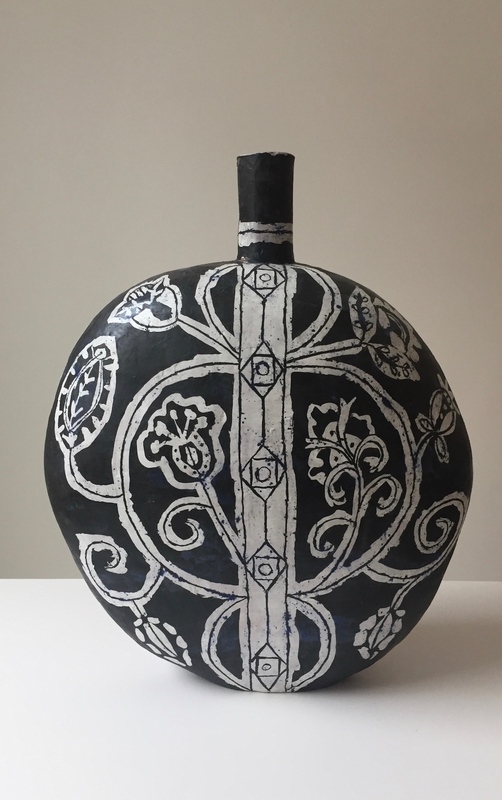 Through her production, Kley unfurls an extensive array of references and inspirations ranging from Chinese calligraphy to ritual tattoos, Japanese printmaking, Byzantine and Islamic decorative patterns, azulejos, and Delft ceramics to name but a few.